If cold weather doesn’t stop you from hitting the trail, you’ll want the ideal pair of softshell hiking pants to keep you moving in comfort. 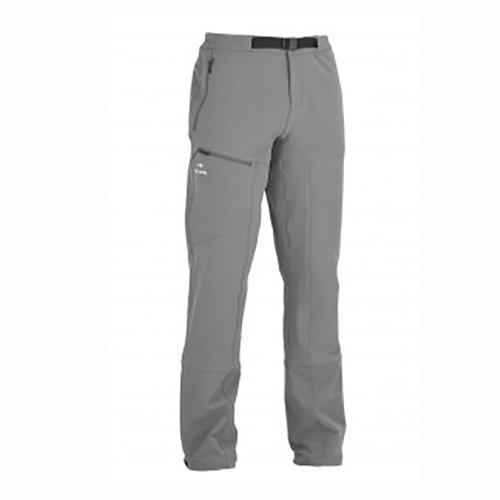 Enter the Nible Pants, offering protection against snow and light drizzle, in a soft, lightweight design. The Double Weave fabric wicks away moisture, while the full-stretch composition assures the pants will keep up with your pace. Internal gators and snapped ankle adjusters provide adaptable snow protection, making them ideal for snowshoeing, ski touring, or winter hiking. 4-way stretch: Comfort and fluid movement thanks to the fabric's stretchiness. Integral gaiters: Built into the pant, these gaiters provide effective lightweight insulation against wet and snow. Ergonomic protection that can be fastened to your boot. Water-repellent finish: The first barrier against rain, whether your jacket includes a membrane or not. It stops the outer fabric from becoming water-saturated. And withstands numerous wash cycles.